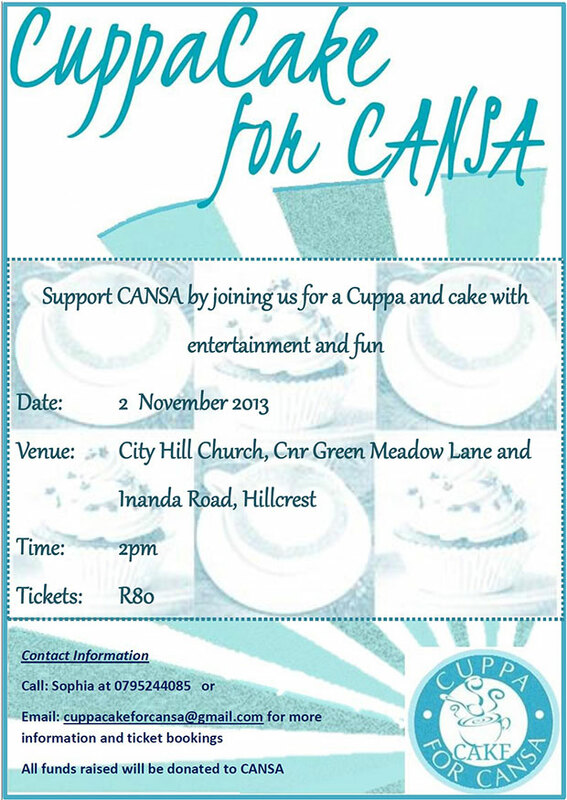 ‘Cuppacake for CANSA’ has been initiated to raise funds for CANSA. All you need to do is pay your R80, sit back, relax, drink tea, eat cupcakes and be entertained by several acts including the likes of Siobhan Hughes and Peter Simeoni (some of you may remember him from Idols a couple seasons back! ).